Where to meet ABS in the coming months? 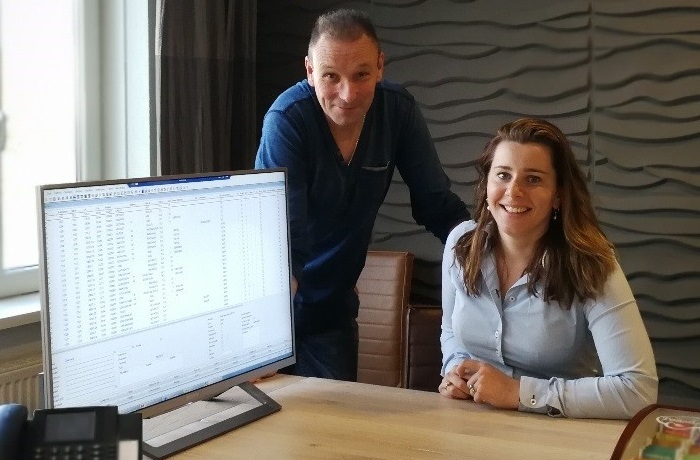 Dutch Seed Group International (DSGI) is a flourishing and growing seed company based in Hem the Netherlands. They work with approximately 20 employees to serve their customers, mostly located in the Middle-East and North Africa. 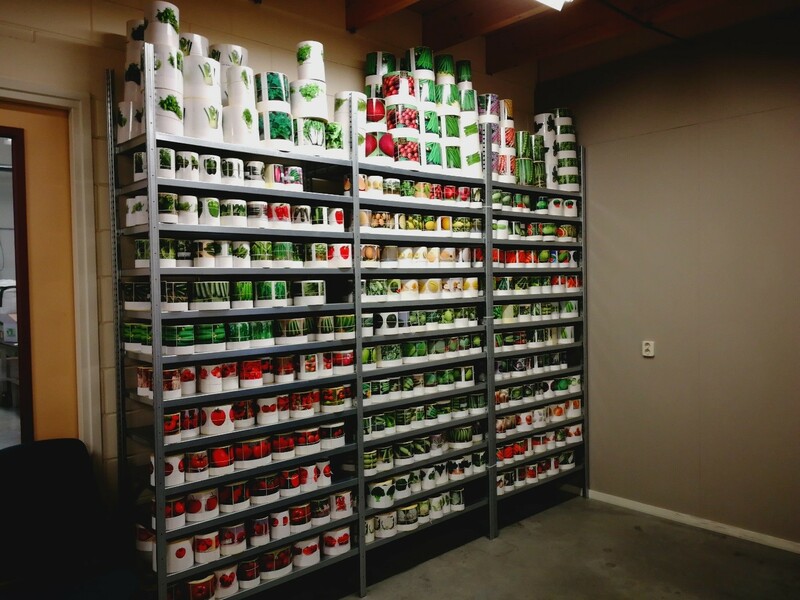 DSGI produces, purchases and sells vegetable seeds together with 48 distributors. The goal is to offer a wide range of products, basically all vegetable crops. The seeds are usually packed and treated per customer specific and sold under a lot of brand names. Both sales support offices in Lebanon and Jordan can look into the available inventory in Hem. Betteke Pauw is responsible for the operations and also the application manager of ABS. The "go-live" of ABS was in January 2017. At the same moment DSGI's new warehouse was opened. Together with a lot of sales, the first half year was a challenge. The combination of a new warehouse and go live of ABS in the same time was chosen, because inventory would be up to date administrated in the new warehouse. Today there are still points to improve. 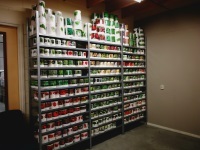 Main issue is the inventory management of all different packaging's. What has been achieved using ABS is a more professional way of working and clear workflows. The program "Packing label information" gives a lot of added value for DSGI. Using this program all customer data on packaging's and treatments are clear at order booking already. "Before ABS DSGI used a simple software", says Betteke. This was a software with less functionality than ABS Seed. For instance the inventory assigned to orders was not visible. DSGI considers ABS "rather complex", but ABS offers more functionality and provides DSGI the possibility to grow. The use is simplified by Betteke for each user using the authorization tool. Implementing ABS offers DSGI a big step forward. From each program where a PDF creation is built in, PDF's can be sent from ABS directly, for instance order confirmations can now be sent directly from ABS by e-mail. Also we extended the possibility to dump data directly into Excel. For printing purposes it is now possible to select printing options per customer, in a more dynamic way. In earlier versions only one cost amount could be added per orderline. In the new version (starting 9.70a) multiple lines can be added, with the possibility to modify the price or amount per line. It is now possible to select a preferred supplier per product. Receive shipments from purchase orders is improved. Also now there is a possibility to set a GSPP indicator per supplier and receive all lines as GSPP. The calculation of lead times has been improved in processing routes. Routings can now be set per company. A new program is created: Process assignment planning. With this new program it is possible to reschedule multiple process assignments at once. It has been made easier to create blends based on the output instead of the input batches. It is now possible to complete the in- and output in one screen via "Simple process completion''. A separate description is available. ABS now has the possibility to deduct inventory at the moment of shipping instead of picking. A separate description is available. We introduce the "CRM inventory summary screen". When booking a sales order, in the CRM inventory summary screen, the prices of the secondary article as well as the prices of the last 3 historical sales can be displayed per customer or planning owner. When scanning a batch on a machine already the batch and sample labels for the output can be printed automatically. Also now it is possible to scan samples to a location. A new location registration program is built for expedition. A separate description is available. Several changes have been made to navigate easier to the parents and their children. Other hybrids with the same parent can now be made visible, and a "Life Cycle" button has been added, to easily change the status of the parent. To calculate the expected loss of parent line seeds and plants in a more detailed way, several changes are built in. You now can use extra info labels in field data. A separate description is available. The log-in plant is registered in ABS when taking a sample. Results of multi-germ can be better registered and displayed. Possibility to link a sample to a tube code by scanning. Recent workflows can be found by login in at ABS Service Desk. Click at the button Download Center, and at the left menu Procedures. In short these technical improvements make the App more robust, better maintainable and stable. These improvements are an impressive step forward. Now the ABS Breeding off-line App is a state-of-the-art solution. This promotional message is sent by Agro Business Solutions B.V.
You can subscribe or unsubscribe from our newsletter. Copyright 2017. Agro Business Solutions B.V. All rights reserved.